I have a little nephew, and you just have to mention Lightning McQueen from Cars, and his ears suddenly prick up...so the meer mention of Planes, gets his attention like no other film I know. Although admittedly, he is on the cusp of being too old for Planes now, but there will always be that little bit inside him that recalls memories of running around the movie theatre in pure, 5 year old joy, of having just watched his vehicular buddies. Kids across the world are ensnared in Disney's fabulous Planes films, and the latest sequel Planes, Fire & Rescue is sure to please. In the last film we are introduced to Dusty and the gang, but now, their world has grown even more and whole new host of characters are given a lease of life on the big screen! And guess what...yes, that means there are whole host of new Planes toys on Amazon ready for your buying pleasure. 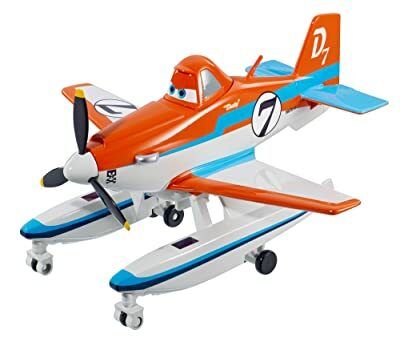 On this page, you will find some of Amazon's excellent Planes 2 toys. You won't find much in the dolls, per se, as they are not many cuddly planes, but hey! Take a look through and be sure to keep checking back (hey, why not bookmark or pin this page) as more toys will get added over time, as more and more become available. 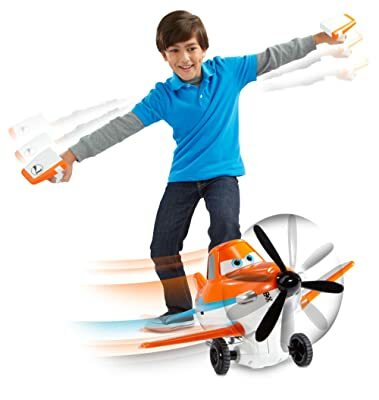 Enjoy...and hope you find the perfect Planes toy that you're looking for. Planes: Fire & Rescue movie, which one if your favourite? Is it Dusty...or could it be Dottie?? This excellent Dusty figure isn't just your average toy - it talks! With real clips from the Planes movie. If you have a fan of the films in your household, they will simply love this. The attention to detail is sooo good, it looks like Dusty has flown straight out of the movie screen. The propeller also spins for added believability too! Clicking on the link will not only take you to the relevant Amazon page, which will show you the great customer reviews that this plane has been getting. Here we have everyone's favourite chopper, it's Blade, the rescue helicopter. As with the Dusty featured toy, Blade here features real sounds and phrases that you will recognise from the Planes: Fire & Rescue film. As well as that, the propeller will actually spin too! This is the coolest Planes toy I have seen yet! It's not just your average remote control car...the car is replaced by Dusty, and the controller doesn't just sit in your hand, you actually become the controller. Using this nifty little hand controls in each hand, you become the plane and if your wings bank to the right, then little Dusty will move to the right. So, it's like a nice form of gently exercise for your little ones too! 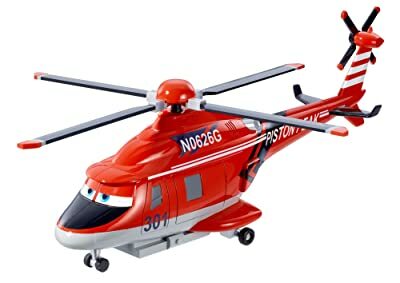 That's not all, but the RC plane also comes with sounds and phrases from the movie, to relive the Planes: Fire & Rescue magic, over and over again. What a fabulous gift/collector's piece!